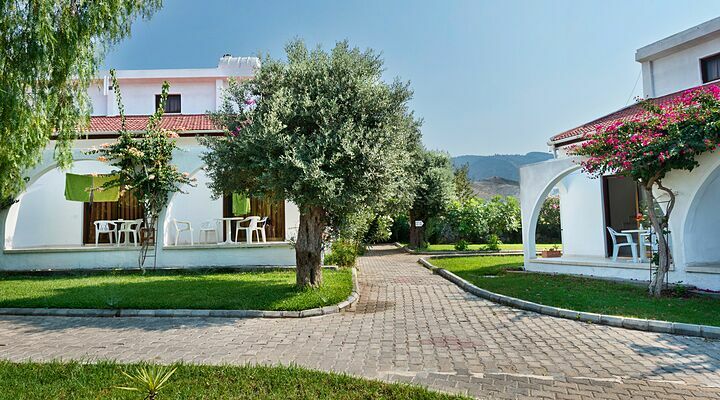 Set in citrus tree filled gardens just outside Alsancak village, the Bare Hill Holiday Village is ideal for relaxing holidays in the sun. 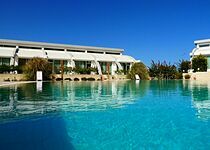 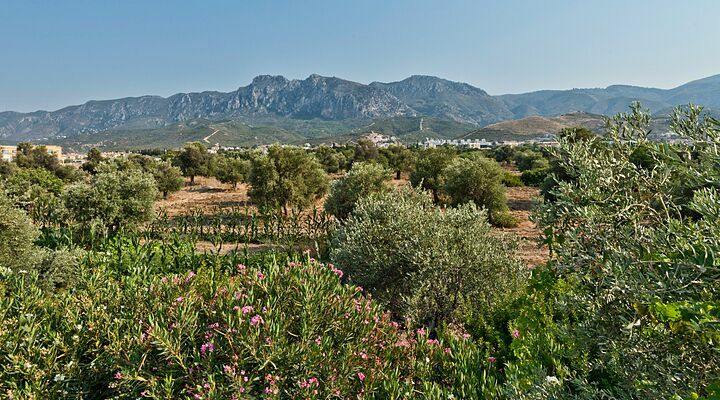 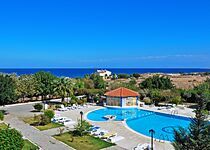 With great views up to the Five Finger mountains behind at this budget North Cyprus hotel, you'll enjoy more view for your money at Bare Hill. 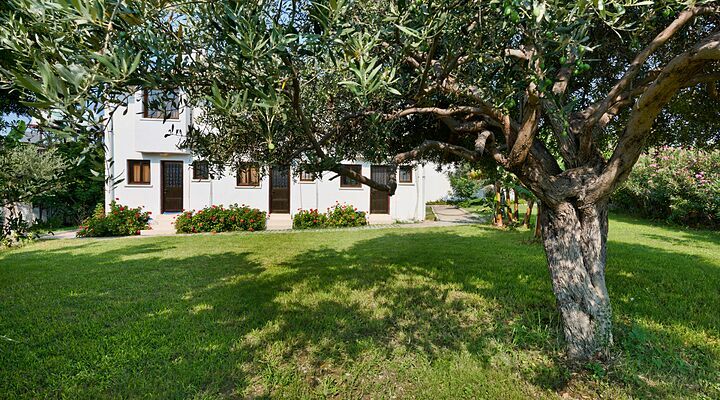 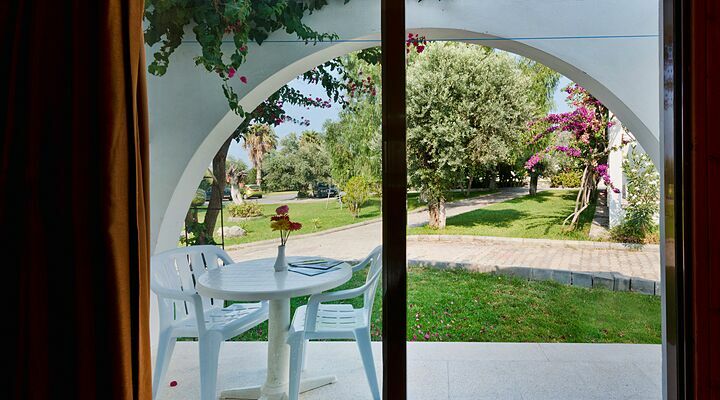 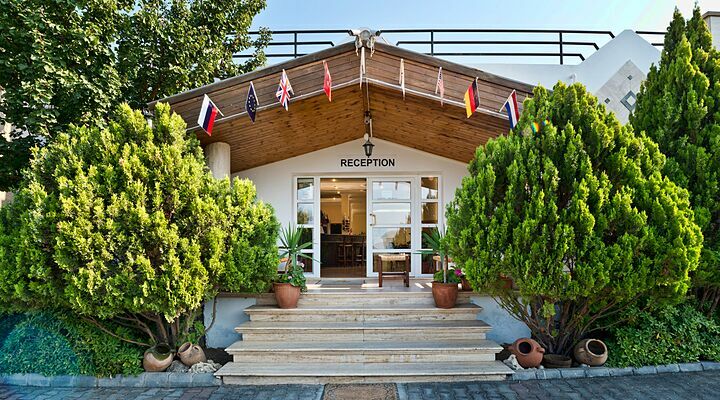 The Bare Hill Holiday Village welcomes you with true Cypriot hospitality. 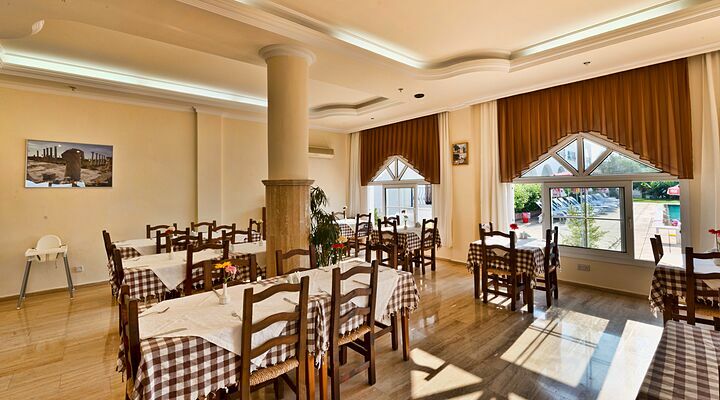 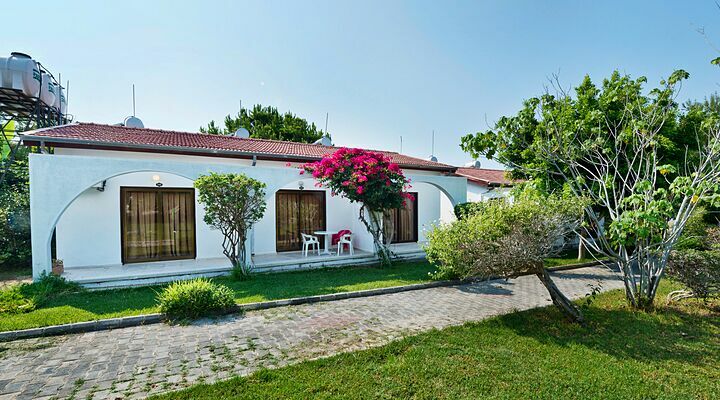 It's location is fantastic for those who prefer not to drive, just a short few minutes’ walk into the charming village of Alsancak with its local restaurants, bars, shops and two supermarkets markets. 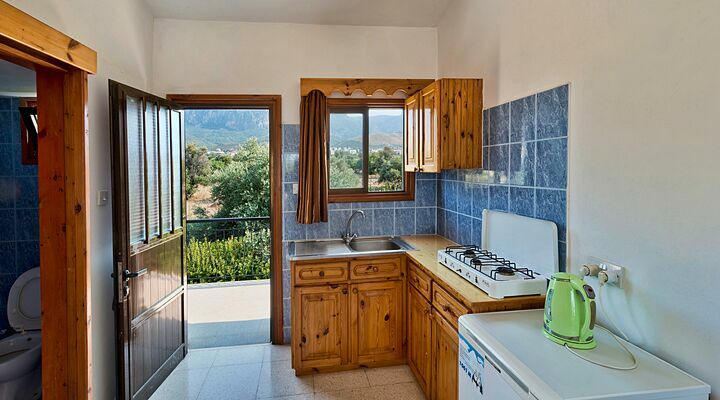 So you can stock your bungalow fridge with those holiday necessities and tasty local ingredients to assemble your own meals. 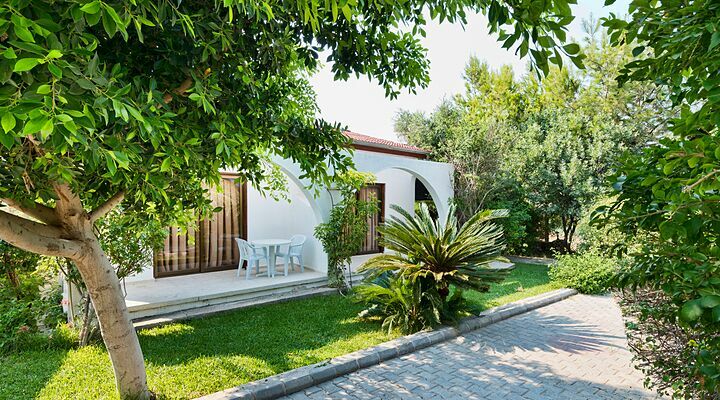 With different styles of bungalows to choose from, you can decide how much space you'd like. 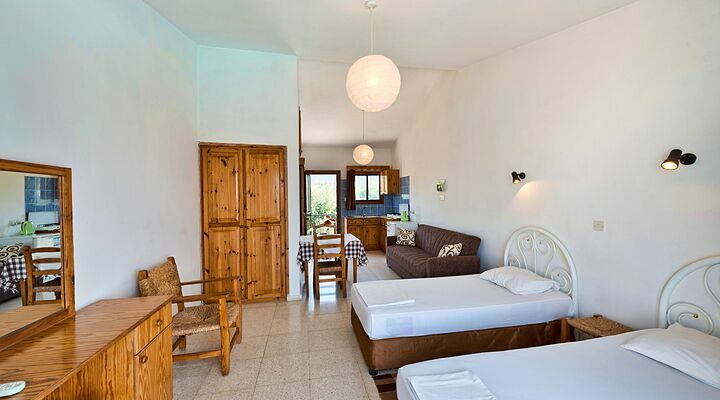 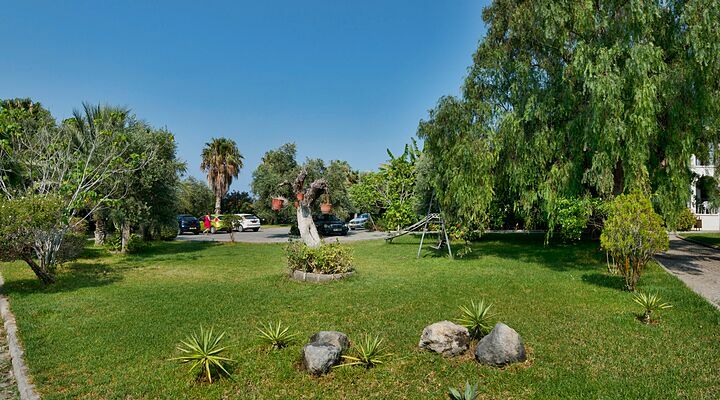 Duplex bungalows, with a galleried bedroom above or one level studios complete with en-suite and a lounge with TV, plus that North Cyprus summer holiday essential, air conditioning. 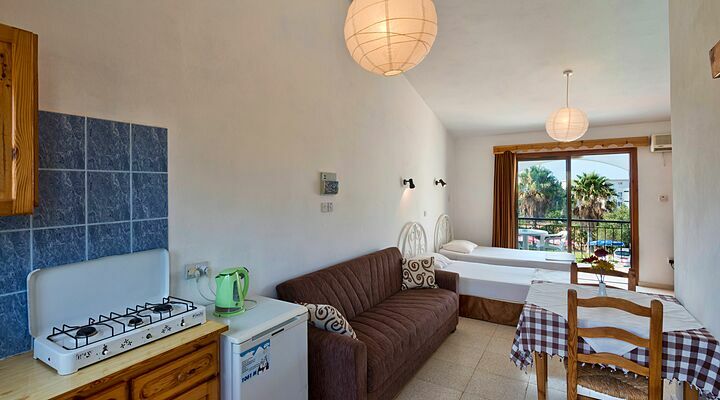 There's also a small kitchen with hob, fridge, with basic kitchen wares that your can make your own delicious meals with ingredients bought from the local village - or just stock the fridge with local beer, wines and tasty nibbles! 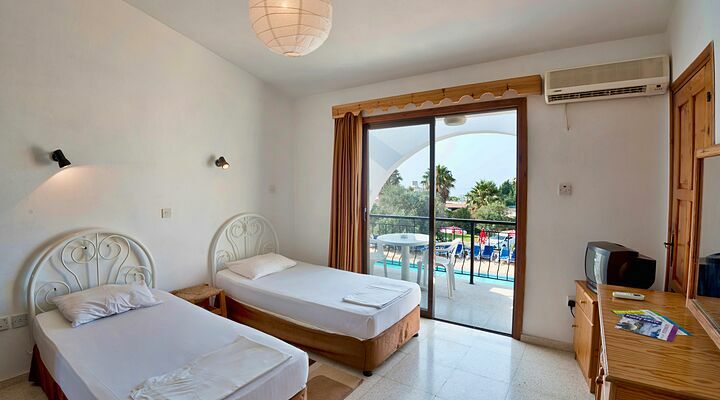 Relax and watch the sunsets from your own private balcony or terrace. 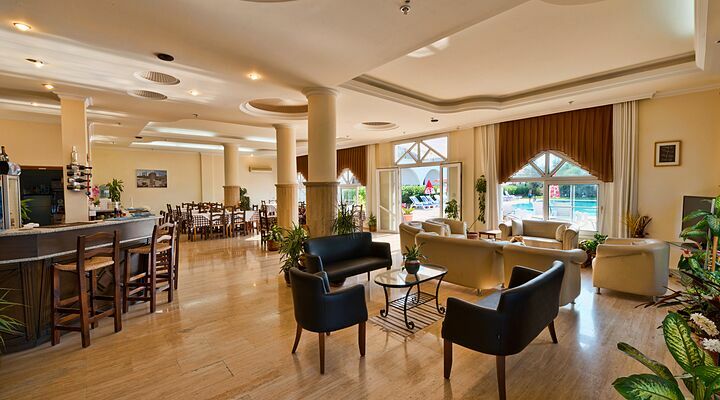 The sunny, light, dining area serves breakfast and snacks from 8 am to 6 pm daily on request. 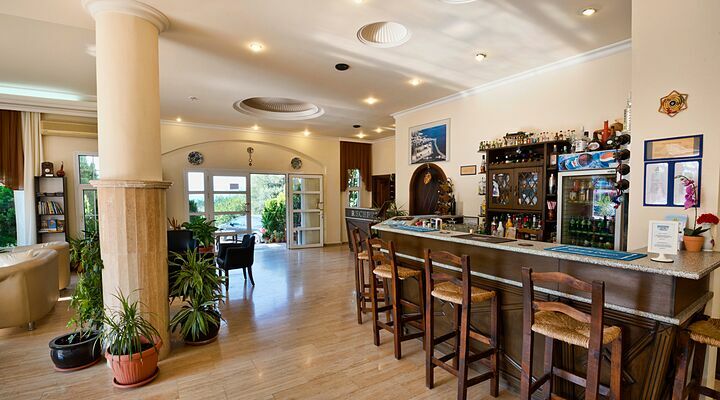 Drinks, cocktails, coffees and ice-creams are available at very reasonable prices from the hotel bar during the day. 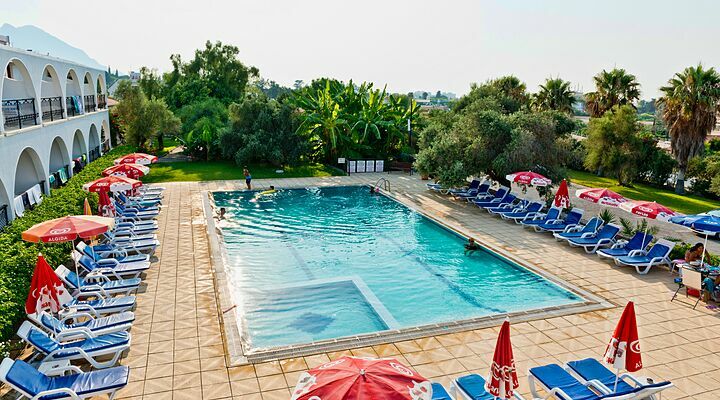 All the bungalows overlook the clean rectangular pool with its separate children's section, and with a poolside shower, toilets and changing rooms, there's no need to go back to your room to change. 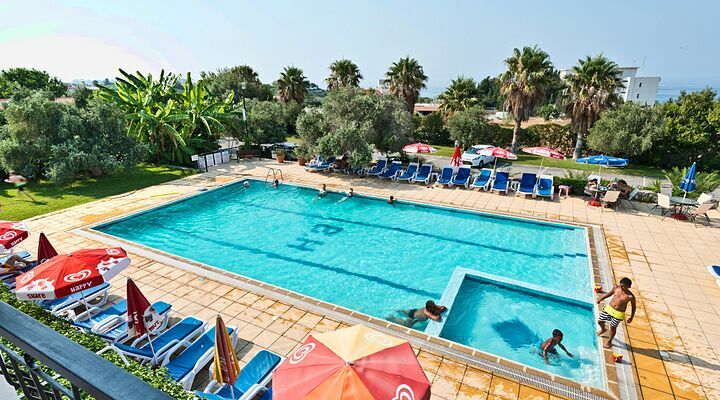 The kids can splash in the shallow section of the pool or enjoy the hotel's small playground, while you can pick up a book from the hotel lobby library and lie back on a sun lounger for some serious R&R! 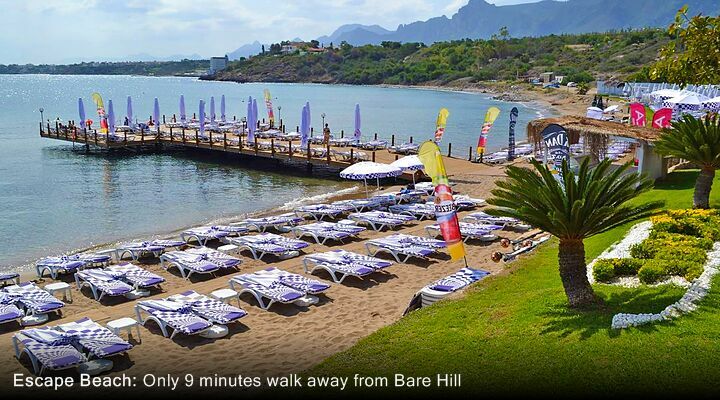 Just a 5 minute walk or few minute bus journey from Bare Hill Holiday Village is Escape Beach Club, where you can spend a day just lazing in the sun before a tasty lunch. 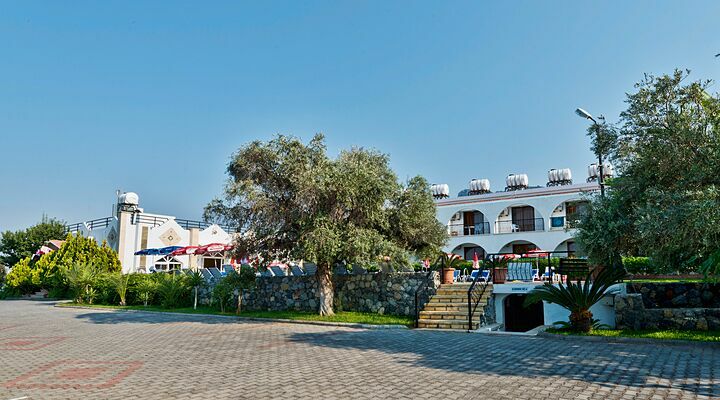 Enjoy your favourite watersports such as jetskiing or scuba diving. 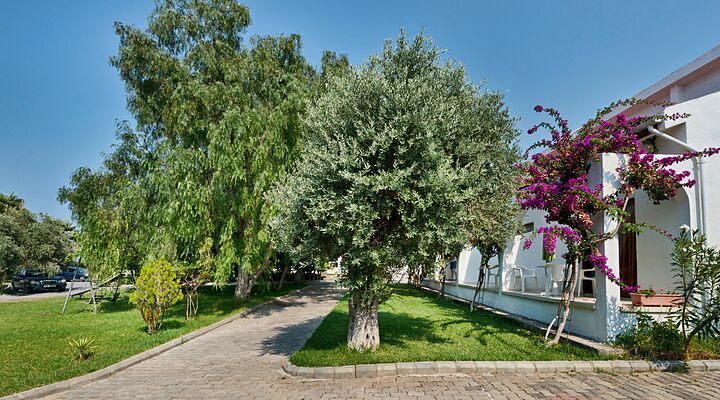 You’re also just a short distance from the lovely beaches at Denizkizi Bay and the smaller, more tranquil beach at Golden Bay. 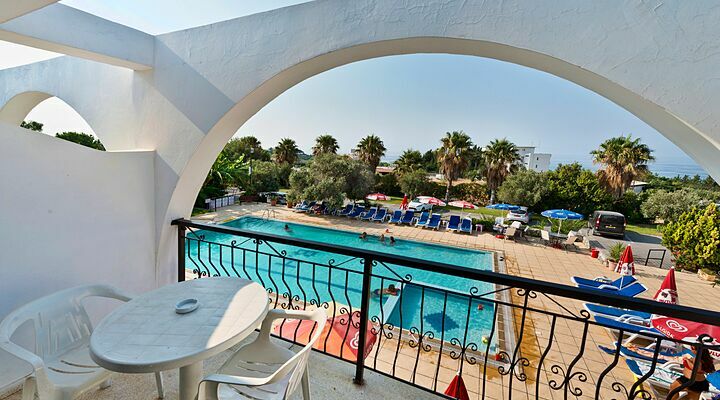 Check availability and the best rates for the Bare Hill Holiday Village using our online instant quote form (it's on the right of this page), or call us on 0800 612, Monday - Friday 7am to 9pm, or until 4pm at weekends. 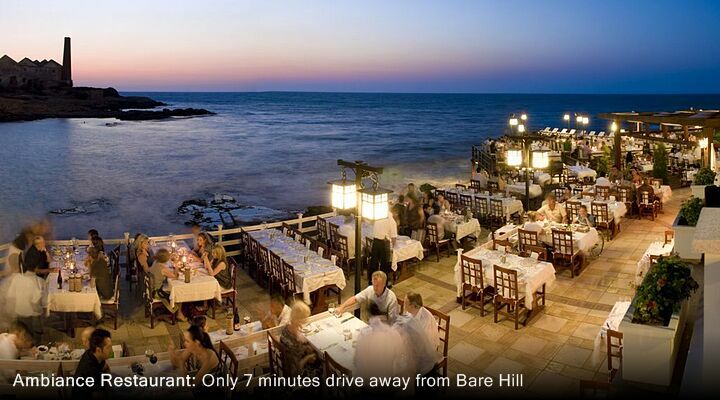 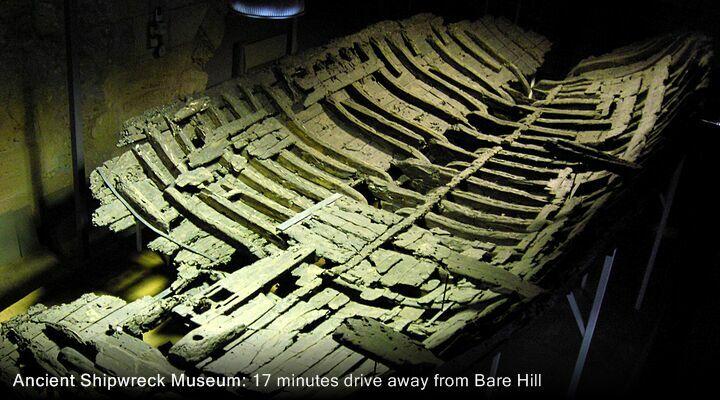 At the Bare Hill Village, you really don't need a hire car. 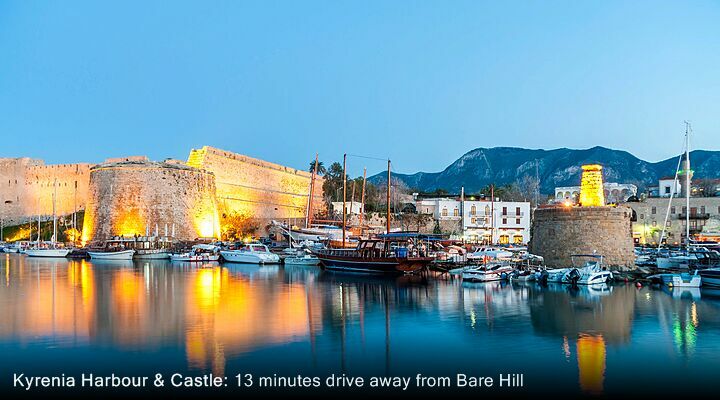 You can stop the bus just outside the gates, it's less than 15 minutes bus ride into Kyrenia with its historic castle, pretty harbour, and wide selection of bars, modern restaurants and interesting shops or the opposite direction to Lapta seafront for seaside located restaurant’s. 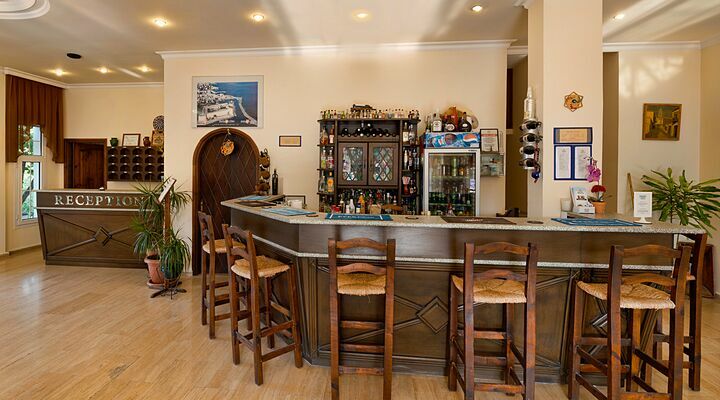 For more information, just ask the owner Mr Ali Caluda which bus to catch for other places to visit. 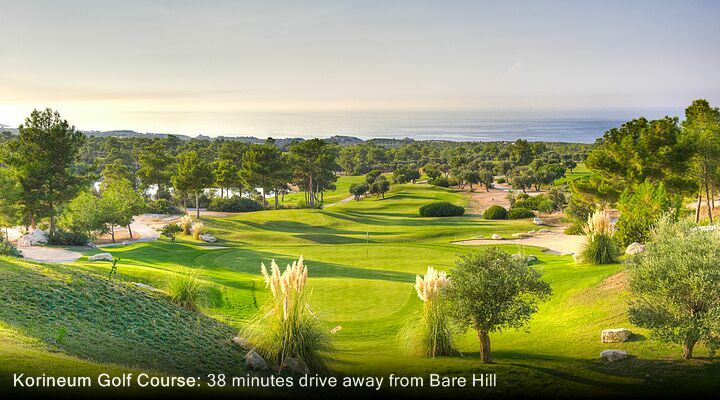 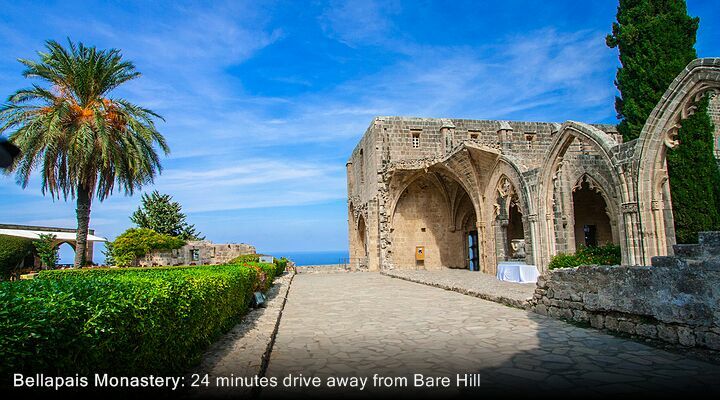 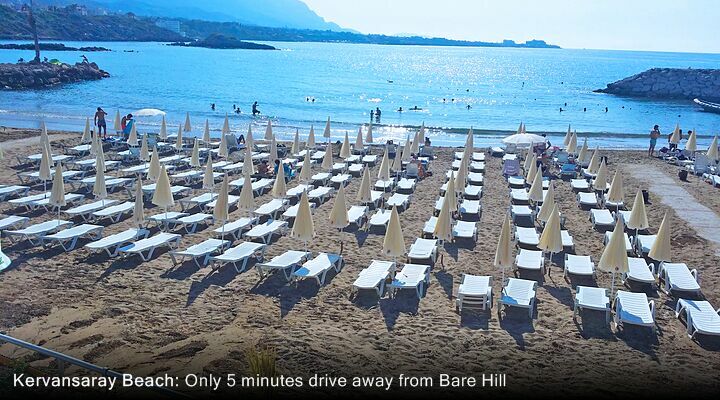 Transfers from Ercan International Airport to Bare Hill Village will take just 45 minutes. 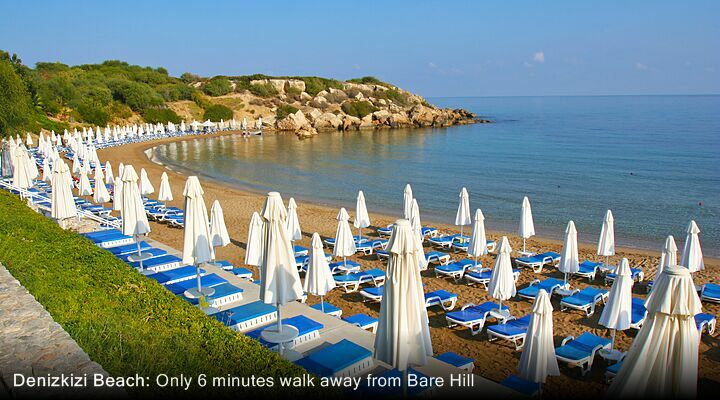 So, with flights to North Cyprus you could go from plane to poolside in under an hour.